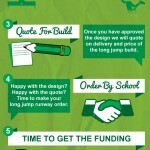 If you are looking to have a triple jump construction project carried out, we can complete this work for you. This is a popular athletics facility which may be installed in a number of sizes and designs to suit the client. We have built these areas in many locations including schools, colleges and clubs through the UK. 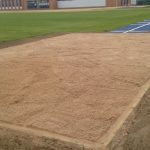 In many cases they will be designed as multipurpose surfaces which could also be used for other activities like long jump and sprinting. You can speak to one of our experts straight away by filling in the quick contact form which is shown on this page. Please let us know what kind of product you are looking for and give us an idea of the budget you have to spend. We’ll get back to you as soon as possible to provide a quote for the installation work along with some further information on the different products. 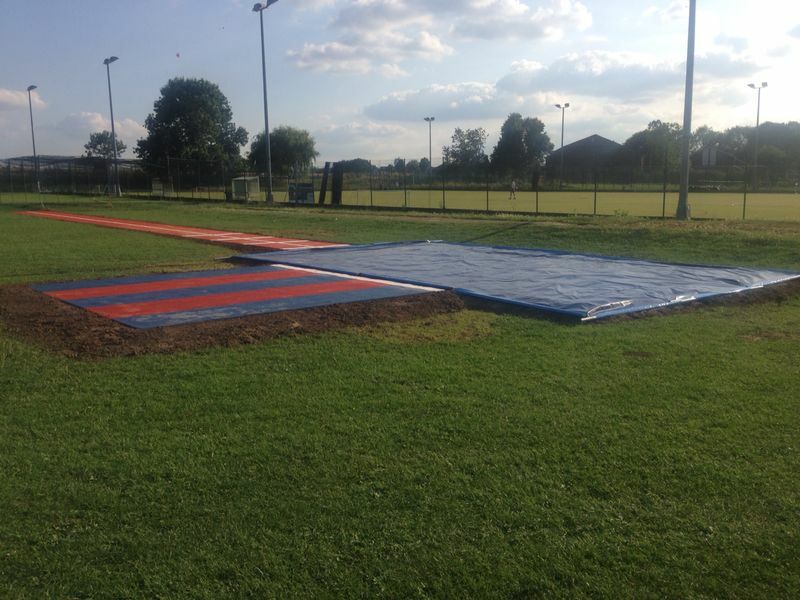 Triple jump facility construction is carried out across the UK, mainly for institutions such as schools, colleges, universities, leisure centres and sports clubs. 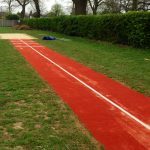 We offer two main surfacing options for Triple jump facility construction, these are Multisport synthetic surfacing and polymeric rubber flooring – each of these surfaces are perfectly suitable for this kind of facility. 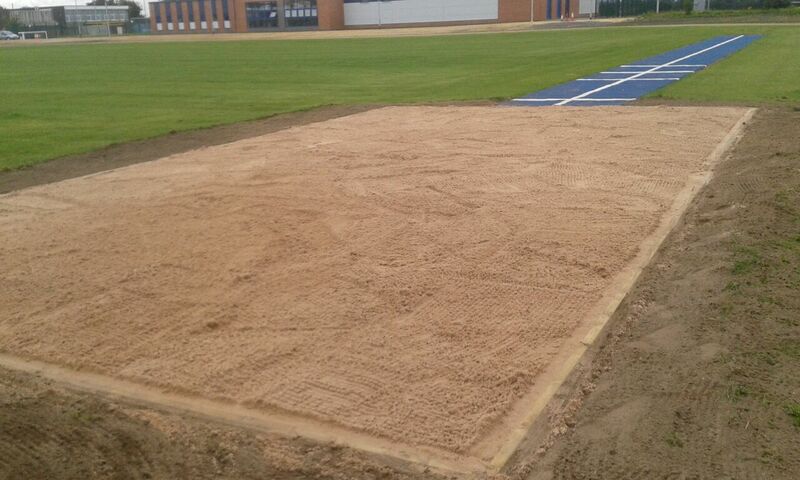 The first stage of triple jump facility construction is to install the foundations of the surface. We have to dig the earth out to the required specification for the surface, which is chosen by the client and then we have to install an engineered sub base to ensure that the surface remains flat, and also ensuring the final product after the triple jump facility construction takes place is completely porous. 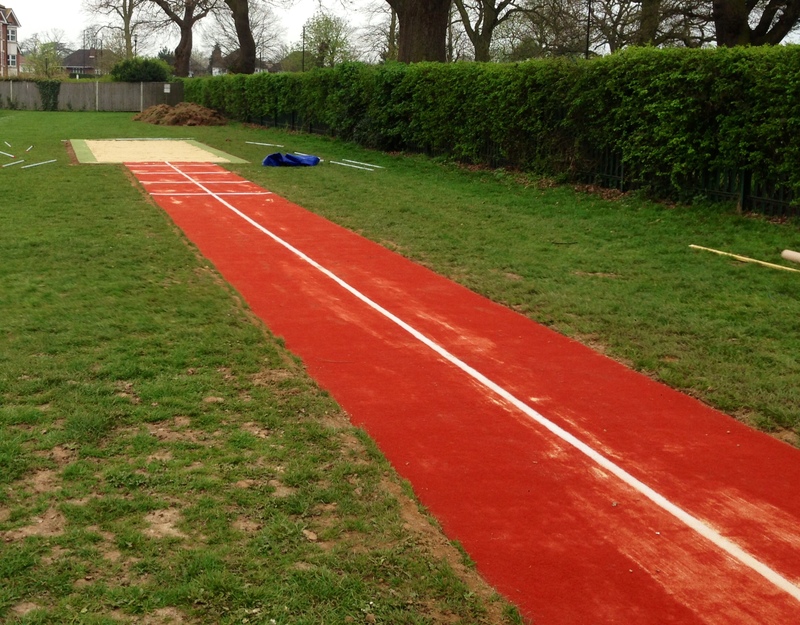 You can design your triple jump facility runway to different specifications of colours, allowing for full customization over your sports surface. We offer the most hard wearing and durable surfaces to our clients to ensure that their new facility has a long pitch life, not requiring it to be repaired or resurfacing in the long term. The surfaces are all UV stable, allowing for the colour surface not to lose its design due to long exposure to the sun. 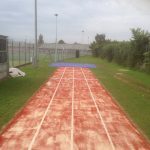 The Multisport synthetic needlepunch surfacing is ideal for long jump runways at primary schools as it is softer and provides more impact absorption for younger kids, it can also be installed in a rainbow design to make athletics even more fun for children. 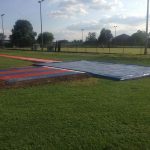 The costs of triple jump construction depend entirely on the specification set out by the client, giving them full control and customisation over the installation process. The biggest factor when estimating the price of the job is taking into account the surface size of the runways, the bigger the runway obviously the more expensive it’ll be. 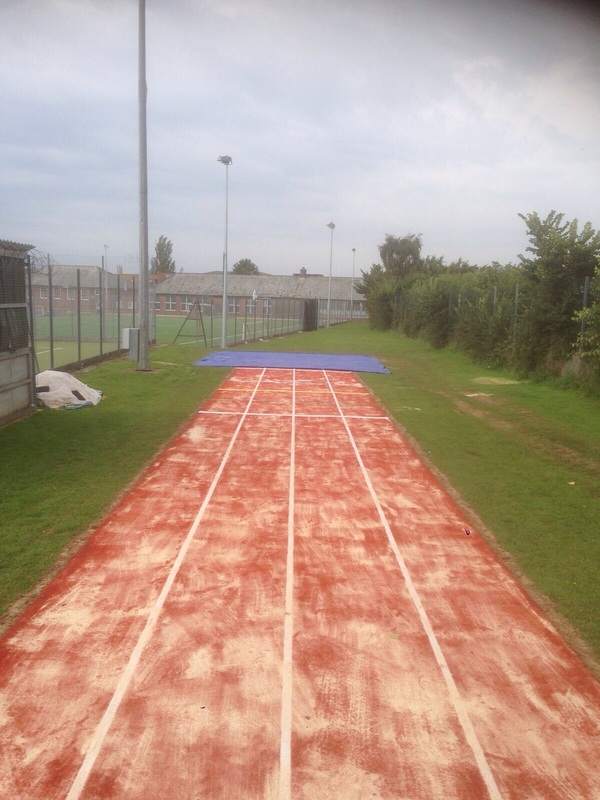 We also offer the necessary equipment to properly maintain your triple jump facility, through a thorough maintenance scheme you can help reduce the costs of the construction work over the product’s life through reducing the need to have repairs or resurfacing jobs done. 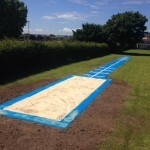 We also offer take off boards and sand pit covers as part of the triple jump facility construction, these features ensure that the surface can be used to competitively through the take-off board, and the sand pit cover ensures that no contaminations find their way into the sand.